Podere Moricci is immersed in the picturesque Tuscan landscape around Montaione and is divided into 8 independent apartments and 2 houses, the Scuderia and the Terrazza, developed from a separate barn. 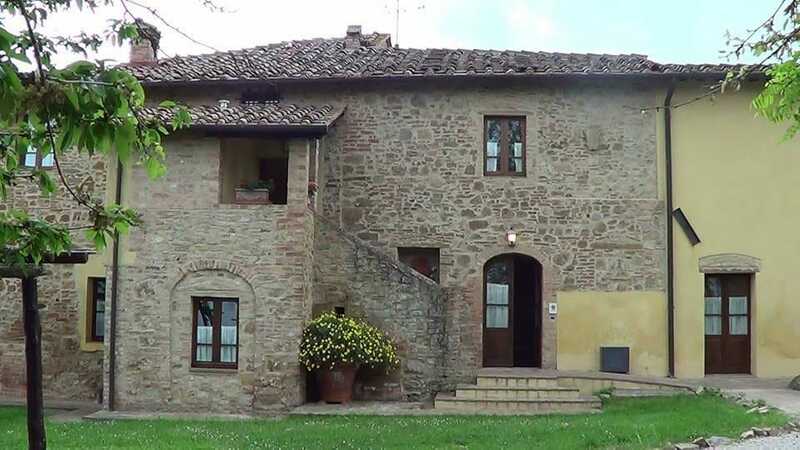 Within 50 km you can visit Florence, Siena, Pisa and Maremma coast and nearby are located the centre of Certaldo, Volterra, San Gimignano and Vinci, the famous medieval village with towers. The closest shopping facilities are at a distance of about 1 km, the bus stop is within walking distance (200 m) and the Castelfiorentino railway station is about 10 km away. Sport opportunities for golf players, horse riders, tennis players and walkers are within just a few kms. 2 outdoor swimming pools connected by a children's pool (open from April to October), outdoor shower, brickwork wood barbecue and washing machine upon payment. A local baker brings daily (Monday to Saturday), fresh bread and corns into the house. In addition, a free and unlimited Wi-Fi network is available throughout the whole property. weekly change of bed sheets and towels; a cook and typical Tuscan dinner on request and upon payment; baby cot, stroller and high chair on request (free); private wood sheltered veranda equipped with tables and chairs; independent solarium area in the garden overlooking the swimming pool with beach umbrella, deckchairs and sun loungers; a covered private parking place. At Podere Moricci guests can enjoy the typical atmosphere of a comfortable country farmhouse in Tuscany!